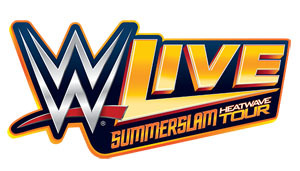 Come see your favorite WWE SUPERSTARS in action at the Wildwoods Convention Center’s Oceanfront Arena…anything can happen as tempers heat up on the road to this summers hottest event! Card lineup is TBD and subject to change.) Show begins at 7:30 p.m. (doors open at 6 p.m.) and tickets start at just $15. Tickets are available at the Wildwoods Convention Center Box Office or through Ticketmaster at http://www.ticketmaster.com/wwe-wildwood-convention-center-wildwood-nj/venueartist/16462/807358 or 800.745.3000. For more information about World Wrestling Entertainment, visit www.WWE.com.